Football season is officially upon us, and in my house, that means CHICKEN WINGS! My husband is a chicken wings addict. He loves them with all his heart, and I’ve grown to appreciate them (especially in the privacy of my own home since they are messy). After years of trying different things, the husband and I discovered grilling them is where it’s at. It’s healthy, and about half the price of restaurant wings. Best part of this method is you can control the ingredients and get crazy with marinades or dry rubs – keep it was healthy as you want (or don’t want if that’s the route you choose). The world is your oyster when it comes to what you want as your flavor. 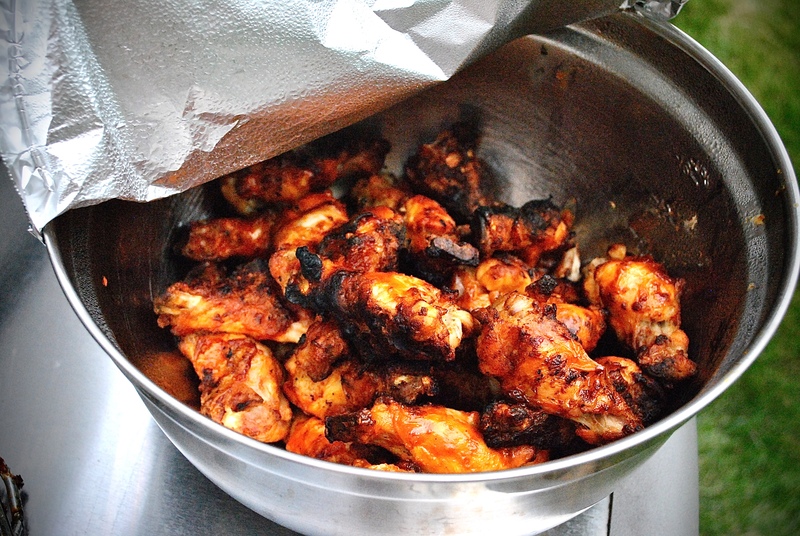 I’m going to share with you the basic Grilled Buffalo Chicken Wings recipe today. You can take that knowledge and expand on it. 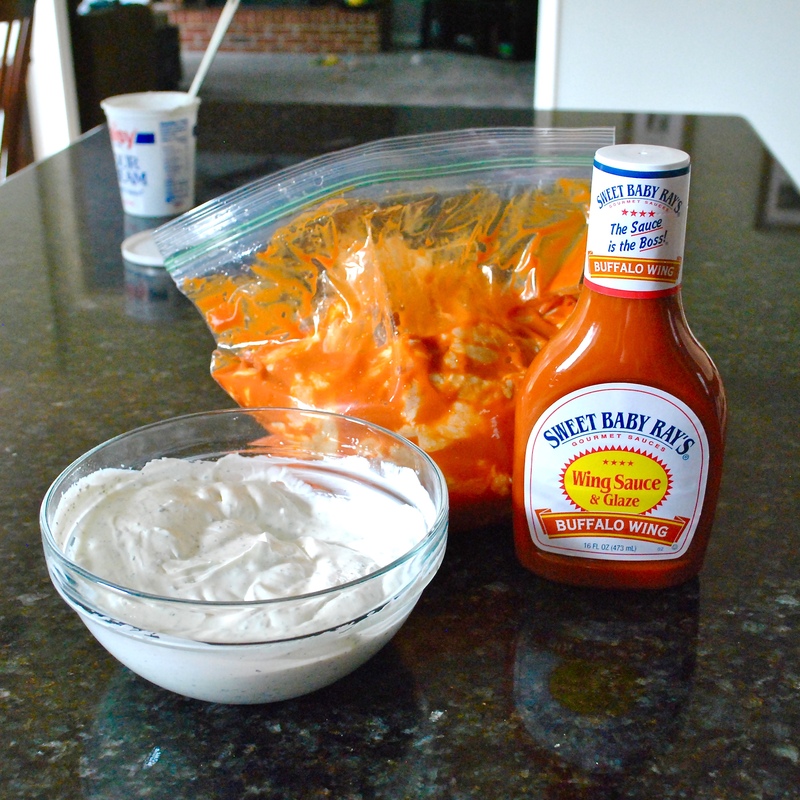 Bonus recipe too is the most basic Hidden Valley Ranch Dip – it’s the best for dipping wings or veggies in. If you make the dip ahead of time, cover and refrigerate the wings are done. Put the wings in the fridge for at minimum 2 hours now, too. After 7 – 10 minutes – FLIP! Flip again after another 7 – 10 minutes. This time baste them with your baster brush and a small bowl of sauce. You will repeat this step after another 7 – 10 minutes. 3 packages of chicken wings drumsticks – thawed. We always go for the drumsticks because really who wants that wing BS? But if you want to be traditional, you can get packages of wings and drumsticks. They usually come in packages of 10. On average, the typical person will eat 10 wings; however, you can budget for more, if need be. If you buy these frozen, thaw them in the fridge the day before using! 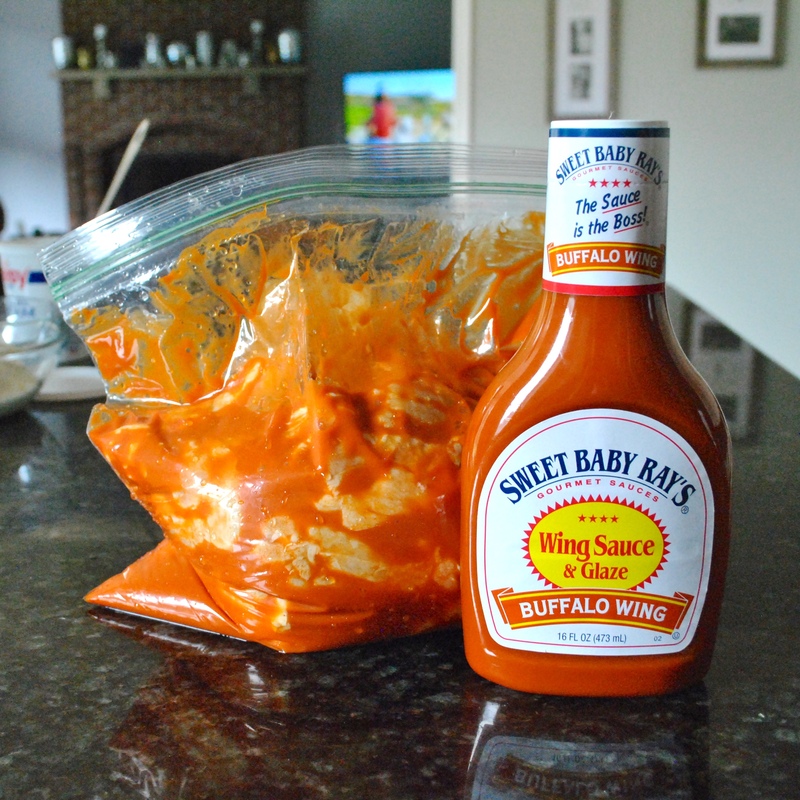 Put all the wings in a gallon bag and dump a whole bottle of marinade in the bag. CHECK the meat to make sure it is done…if it’s not, keep cooking until the chicken is thoroughly cooked. You don’t want salmonella. Then enjoy with the ranch (below) and some celery! And there you go – it’s the simple!!! 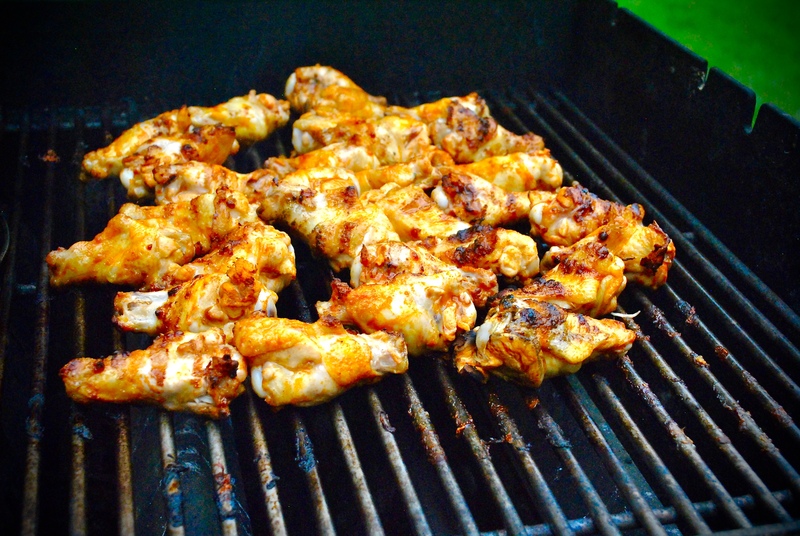 And that’s our EASY Grilled Buffalo Chicken Wing Recipe!! Now go chow down over some hopefully good football games! Previous Post Visiting Brightwok Kitchen – Their Future is Bright! 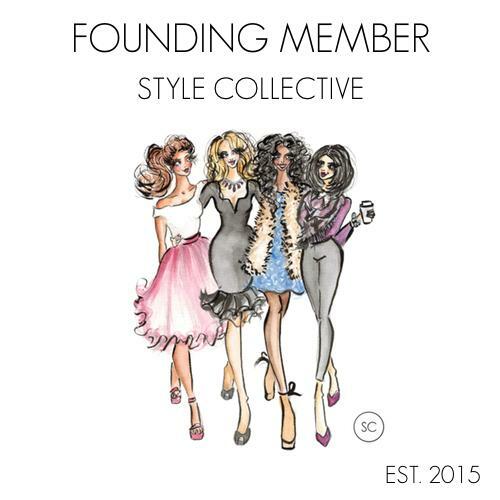 Next Post Summarizing Days 8 – 13 for the Wet Hair, Don’t Care’s 30 Day Outfit Challenge! I don’t do wings, but maybe I will try this marinade on my drumsticks!